CAREFREE – While enjoying their summer vacations, some folks (even Arizonans) need reminders that the sun is not good for their skin! Sunscreen is must, but if you miss an area or forget to reapply, remember that the professionals at Revital-AZ Laser and Med Spa are available to address that wrinkle or tackle that age spot. Laser treatments are generally no-nos in summer, but photofacials are safe. At Revital-AZ, Rosie Andaverde, R.N. and her medical director, Dr. Mark Biliack, use PicoSure, one of only five machines in the state. The PicoSure Laser uses “incredible speed and powerful light energy to penetrate the outer layers of the skin, targeting and erasing problem areas such as brown spots and fine lines to rejuvenate your skin.” It’s effective and amazing! The treatment also boosts collagen, resulting in a more youthful appearance. Little to no downtime, too! Got the dreaded double chin? CoolSculpting has been incredibly effective for patients at Revital-AZ. Earlier in the year, Andaverde and Biliack added Kybella, for the smaller pockets of chin fat. Clients now have more in their arsenal to combat unwanted fat under the chin and can combine CoolSculpting and Kybella for the perfect profile. Be one of the first two folks to mention this ad and receive $400 off Kybella injections (results are typically seen in two to three treatments). Revital-AZ’s June CoolSculpting Event was well received with many people learning how the procedure works and how swiftly. Given its success, watch for another CoolEvent in the fall. (Keep up with Revital-AZ on Facebook for specials, events, before/after photos, tips and sweet sentiments.) 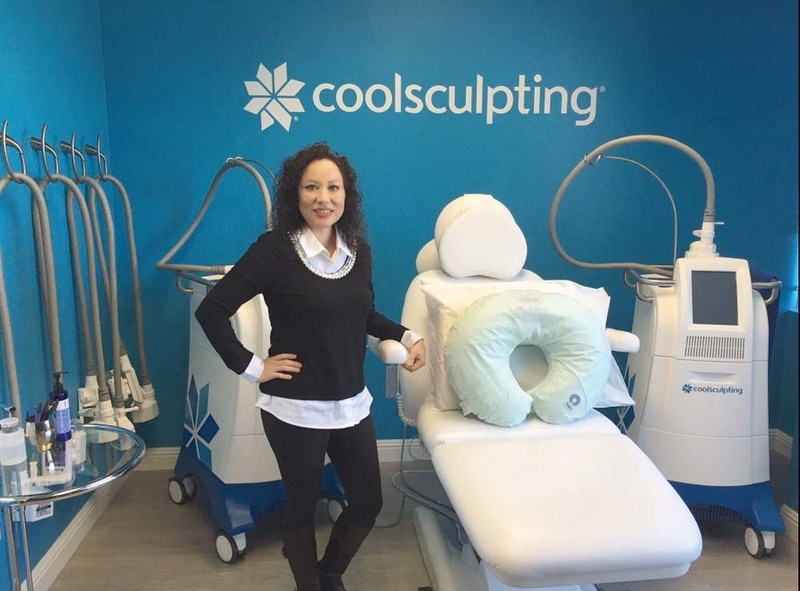 Attendees were thrilled to learn about the new “Cool-Suite” that boasts the latest technology and DualSculpting, freezing twice the fat in half the time! If you want to be preventive or have to act after-the-fact because the sun was a little too in-your-face, Revital-AZ Laser and Med Spa can help slow signs of aging. They’ll be open all summer, so go see them at 7401 E Easy St, Ste D. Phone 480-629-5776 or visit online at revitalaz.com for hours and information.